Two upcoming events on Saturday, Feb. 9, would make fine Valentine’s Day gifts for the bourbon lover in your life. From 3 to 5 p.m., Moonshine University at the Distilled Spirits Epicenter, 801 S. Eighth St. in Louisville, will present an Enthusiast Class called “Like Bourbon for Chocolate,” featuring the bourbon truffles of Art Eatables. 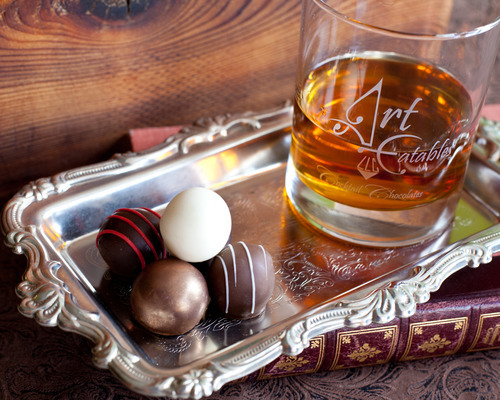 I’ve noted before here that bourbon and chocolate are an excellent pairing, and Art Eatables truffles marry just the right kind of chocolate with each bourbon selected. The class is $59 per person. You can register here. Also on that Saturday, Buffalo Trace in Frankfort presents its second “Buffalo Love,” a dinner featuring tastings of the distillery’s bourbons paired with cuisine from Dupree Catering. Drew Mayville, Buffalo Trace’s director of quality, will lead the tastings. I can’t make it this year, but last year’s inaugural event (above) was excellent. The event has been moved to the clubhouse to accommodate more people. 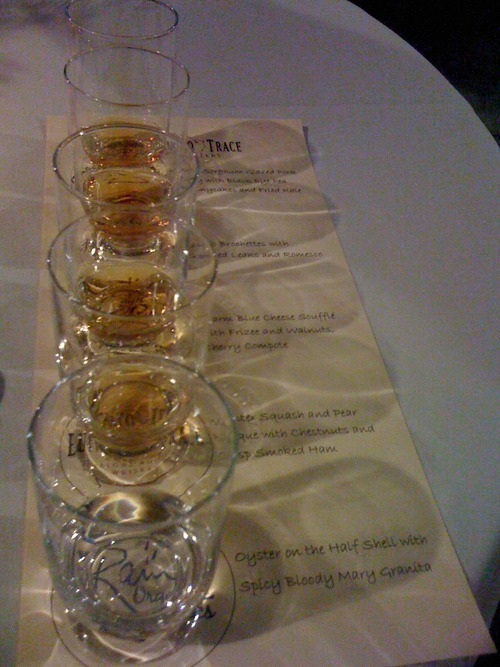 The dinner is from 7 to 9 p.m.; an optional tour of the distillery begins at 6. The cost is $100 per couple. Find out more here.